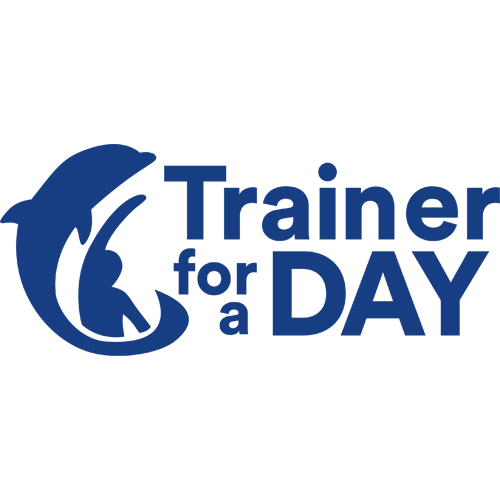 Trainer for a Day is the perfect experience for the ultimate animal lover. 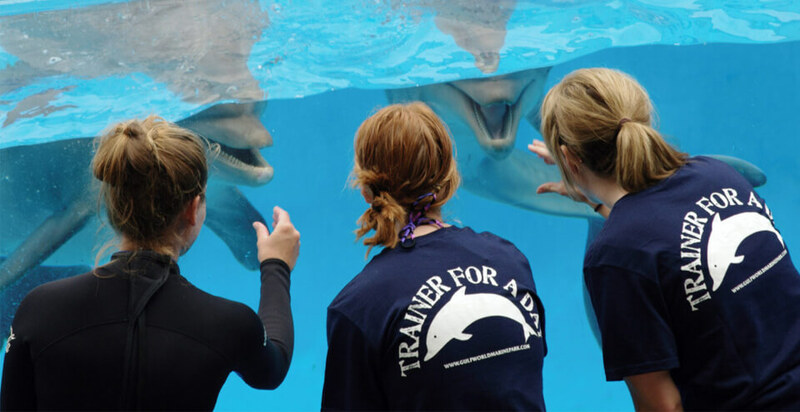 You’ll shadow our Gulf World trainers all day and go behind the scenes to work with our ocean ambassadors. During the day, you will assist in food preparation,training sessions and make an on stage appearance in the Dolphin Show. Make sure to bring your swimsuit because you’ll also participate in the Royal Swim. Receive a complimentary Gulf World Marine Park trainer t-shirt. Digital photos of the experience. Observers are not allowed during behind the scenes tour - only during Royal Swim. This program can have groups of up to 2 people. During the day, you will assist in food preparation,training sessions and make an on stage appearance in the Dolphin Show. Make sure to bring your swimsuit because you’ll also participate in the Royal Swim. Observer Rules for Royal Swim portion: Due to limited space, only 1 paid observer per swimmer over 18 is allowed. Observers are required to pay regular admission fee plus a $5 observer fee. Swimmers under 18 may have one complimentary observer, with the option to pay $5 for 1 extra observer. Observers are required to pay regular admission fees. No cameras or cell phones are allowed. *Cancellation Policy: All sales are final and non-refundable unless cancelled by Gulf World Marine Park.